Supercell has announced the hero update today! It is already available in the app stores. There are several updates and tweaks for the game. Scroll down for a complete list of all new features! We are currently updating this article throughout the day, new additions are made constantly! 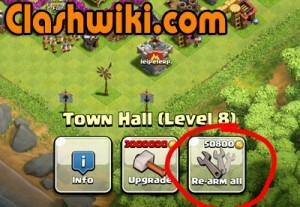 There is a new re-arm all button if you press the town hall. With this button you can re arm all traps and weapons in once. Bases are now zoomed out when skipping! You can now copy your current village layout to your Clan War base with one button. Interrupted War Base edits in progress are now properly recovered. 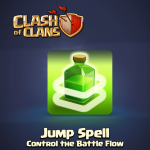 The jump spell is improved, it haves a new level 3!l. The AI of the jump spell is improved. Troops can now take advantage of routes opened by a jump spell, even if not in the spell area. Jump spells will now cause troops to redirect immediately if they open a better route. The jump spell area has been slightly reduced to allow for more precise control. At level 3 the duration is 60 seconds it costs 31.000 elixir. 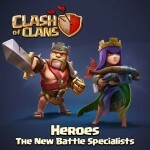 The pekka can now be upgraded to level 5, she also have a new look in level 5. 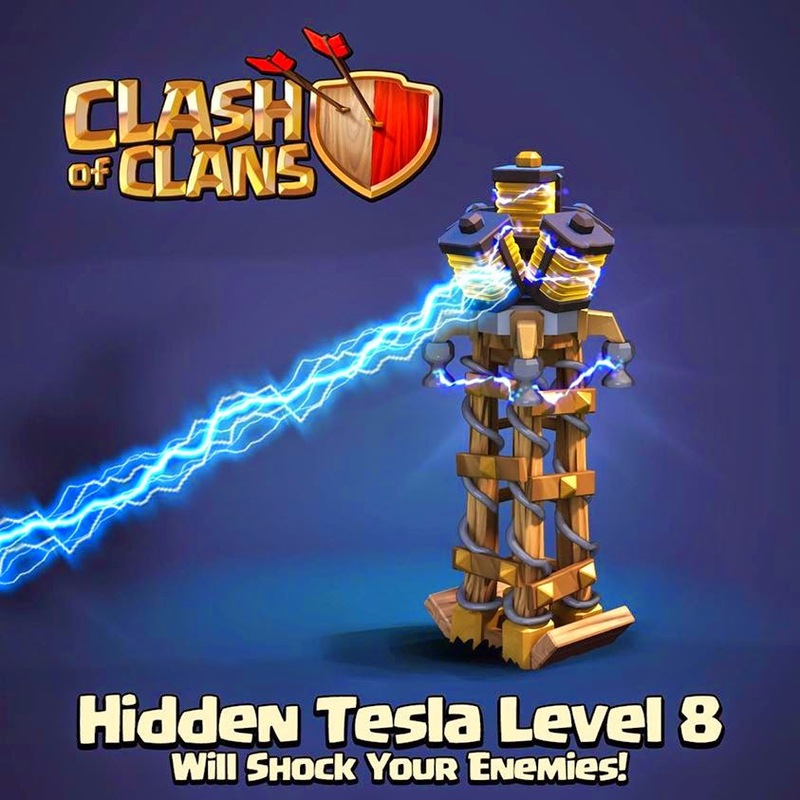 Be wary, though, the P.E.K.K.A.’s one weakness is electricity and since the Tesla towers are also getting a huge upgrade, the two units have entered a sort of Cold War-esque scenario wherein both can destroy one another quite easily. Training cost of P.E.K.K.A has been reduced. Troops now work together to break through walls, targeting similar wall pieces instead of lots of different ones. Inferno Tower multi-mode is now slower at burning through big hordes of attacking troops. 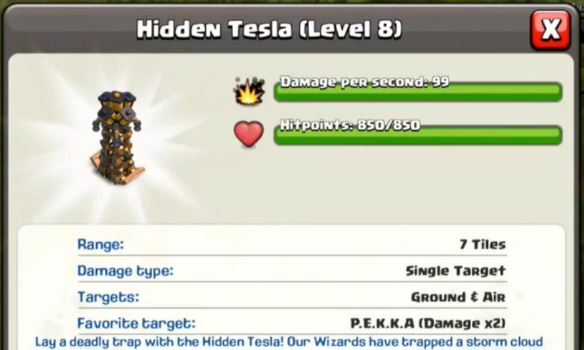 The hidden tesla now features a whopping level 8! Hidden Tesla build times have been reduced. 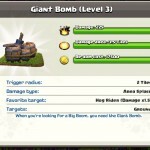 The giant bomb now deals 1.5x damage to hog riders, it is supercell’s answer to the hog raids we guess. When you have a level 4 hog it deals 75% damage. 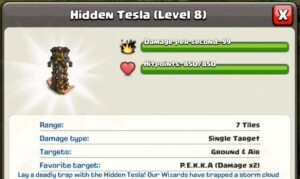 It is still possible to do much damage to th8 bases and lower. The bomb now haves a new level 6! The Barbarian king and archer queen now have more health at lower levels, while less health at higher levels. The Barbarian King – His damage has been reduced, but he now can heal himself greatly when using the Iron Fist ability (you can see in the video the health points being increased upon the activation of his ability). The Barbarian horde summoned by Iron Fist has doubled in size to cause even more mayhem. Use Iron Fist at the right time to help the King take more damage than he ever could before. The Archer Queen, meanwhile, gets the following: Her hitpoints have been reduced in later levels, but the Queen now gains a tremendous damage boost while her Royal Cloak ability is active. The duration of Royal Cloak has been greatly increased in lower levels to help make sure the Queen has enough time to land her most powerful of shots. Use Royal Cloak at the right time to help the Queen hit important targets harder than she ever could before! Her whirlwind attack is updated ! She now charges around and finds ideal positions between pairs of buildings. Update announcement – Battle Battle Battle!